It takes grace to rise. Looking around and knowing that your friends support you. That your family always has loved you even though you took that love for granted. 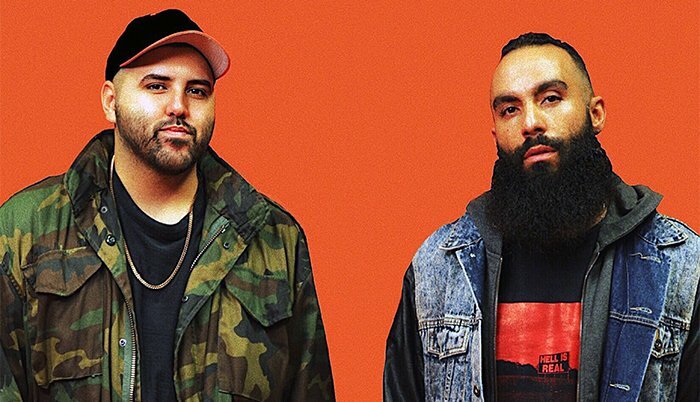 Those are some of the lessons learned by Martin Santiago and Fernando Miranda of Florida-based Social Club Misfits, whose careers have soared since they formed the Christian hip-hop duo in 2012. The guys are getting ready to embark on a new journey with the release of their latest CD, “Into the Night,” and will be performing songs from the new release when they make a stop at Grand Canyon University Arena at 6 p.m. Sunday as one of six acts in the Rock & Worship Roadshow Tour, presented by Compassion International. The tour also features King & Country, Matthew West, Natalie Grant, Bethel Music and Zach Williams. Marty and Fern both have spoken about their path to Christian music – a road that hasn’t always been so smooth. Marty swore he would never go back to church again after a pastor kicked his family out. It was a devastating time for the Santiagos, for whom church was an integral part of their life. His mom and dad were involved in the Brooklyn Tabernacle Choir in New York, where Marty was born, and his family was so involved in church that he said he practically lived there. 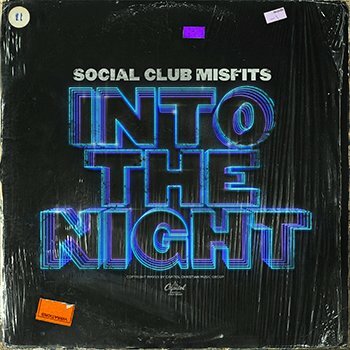 “Into the Night” is the latest CD by the Social Club Misfits. When their pastor had a “moral failure,” the Santiagos confronted him. But instead of trying to right his wrong, he told the family to leave the church. It would be years before Marty would find his way back, and he might not have returned if his friends hadn’t remain steadfast and supported him. Fern’s detour away from God was even rockier. After his family moved to Hollywood, Fla., the Puerto Rico native decided when he was a teenager that he didn’t want to go to church anymore – a big blow to his family, including his minister father. For about 10 years, he said he was lost. He found himself at the end of the barrel of a gun more than once. He became addicted to cocaine, drank and eventually started to deal drugs. He served three years in prison for drug trafficking from 2007 to 2010. Ironically, that prison stint would be what would save him. It was when he was in prison that he came back to God during a midweek chapel. He remembers the love showered upon him by his family – the people he thought he had disappointed the most. They would be the ones who would visit him in prison and the ones who celebrated him, with open arms, after he was released. They never turned their back on him. They made sure he knew he was loved. It’s the sum of those experiences that the two bring to Social Club Misfits. Both come not just from faith-based backgrounds but from musical backgrounds, too. Miranda’s father, a minister, played guitar, drum and bass. His mom led worship and his sister sang. “I wound up being the church drummer, but once I got into middle school, high school, I started playing the trumpet, marched at the University of Miami. So first and foremost, I was a musician,” he said. They don’t even remember exactly how they got together to form Social Club Misfits. The duo’s name comes from the social clubs in New York. Santiago references the film “A Bronx Tale,” in which there’s a Deuces Wild Social Club. “In the club, they’d always talk about life, relationships. We wanted our music to be a place where we could talk about real things happening to real people,” Santiago said. Raised in the church, both grew up around gospel and Christian music, but it would be rap that they would embrace. Miranda said he remembers growing up around his cousin, the rapper in the family. Santiago said rap is the language of his generation. “This generation has the earbuds in their ears all the time, and they’re listening to something, and so this is how our generation speaks. So us being able to connect to young people and people in their 20s, that’s what we’re really aiming to do, and reaching the world through music and hip-hop is an awesome tool to use. The guys have found much success with their unique Christian hip-hop sound. 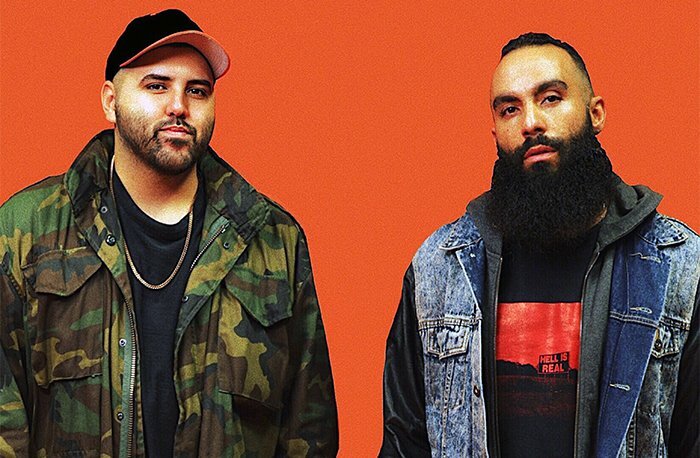 Their album “Misfits 2” found a place on the Billboard charts, and 2017’s “The Misadventures of Fern and Marty” was nominated for a Dove Award for Rap/Hip-Hop Album of the Year. Not that the guys had other opportunities. Santiago had a good job with Nordstrom. It was at that time he started to realize that what he and Miranda had musically was something special. “I had a great corporate job, but we (Social Club Misfits) had a heart for people,” he said. “We wanted to do just ministry. On the weekends I would work corporate, so we’d have weekends off. We’d go to Dallas. We’d do two shows, then come back to work on Monday. Eventually, the guys did follow their dreams and go into music full-time. Fern said he and Marty just try to be authentic in their music. Fern said the guys also want to stand out and do something different. He said audiences don’t want color-by-numbers music. Tickets: $10 general admission, $55 for a VIP upgrade (taxes or fees not included). There’s also a different ticket price for the VIP Experience option. You can reach GCU senior writer Lana Sweeten-Shults at lana.sweeten-shults@gcu.edu or by calling 602-639-7901. Follow her on Twitter @LanaSweetenShul.